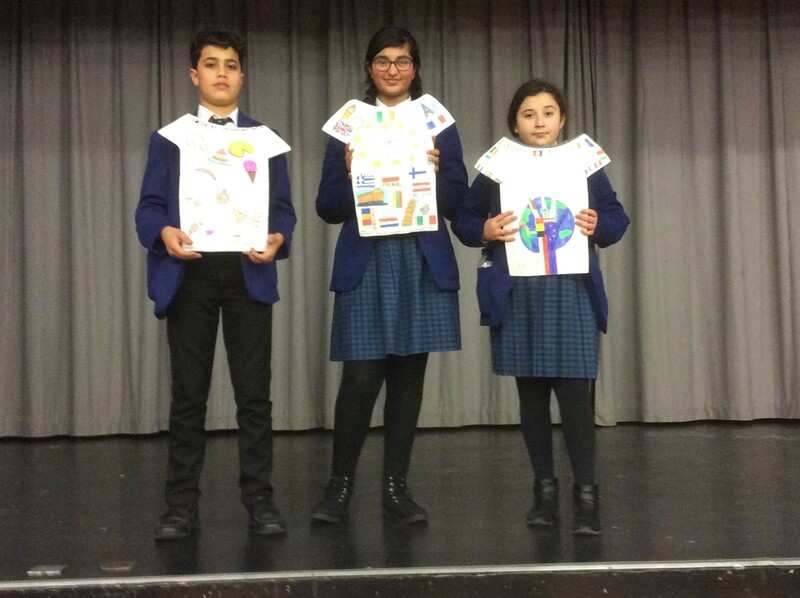 Mr Braime was honoured to be asked to judge the T-shirt making competition in which Year 8 pupils took part in during this year’s European day. The entries showed great imagination and had clearly been inspired by all the activities they had participated in throughout the day. Themes such as unity, architecture, politics and national customs were all explored in the designs, and it was an extremely difficult task for Mr Braime to choose just one winner and a couple of runners up. After much deliberation, third place was awarded to an entry exploring the varied diets of European countries. The graphic style of the shirt, which represented croissants, sausages and cheese was striking, and an understanding of perspective was evident in the work. Congratulations to the following 3rd place winners from 8LIW: Aizah, Yusra, Sufyaan, Jalal, Fatymah, Ewan and Jenson. Second place, was an entry celebrating the architecture of our continent’s nations. This clearly linked to the current theme of Architecture that Year 8 are exploring in their Art lessons this term, and showed an understanding of how, by looking at the buildings and monuments of a nation, the history of its culture can also be traced. Congratulations to the following 2nd place winners from 8BPV: Fatima, Muhammad, Abdullah, Amirah, Amelie, Abdul and Christopher. The winning entry was selected based on the originality of its design. A logo comprising of the human hand combined with the globe was a striking image which demonstrated a sophisticated visual communication. The simple motif was a clear symbol of unity and equality. Congratulations to the following 1st place winners from 8SNR: Shoaib, Mohammad, Alex, Bilal, Aisha, Sasha and Muruvet. Well done to all the pupils that participated in the competition, all of whom produced an array of imaginative and thoughtful art work. In addition to the T-shirt competition, each group also had to write a poem, themed: UK and Europe – past, present and future. 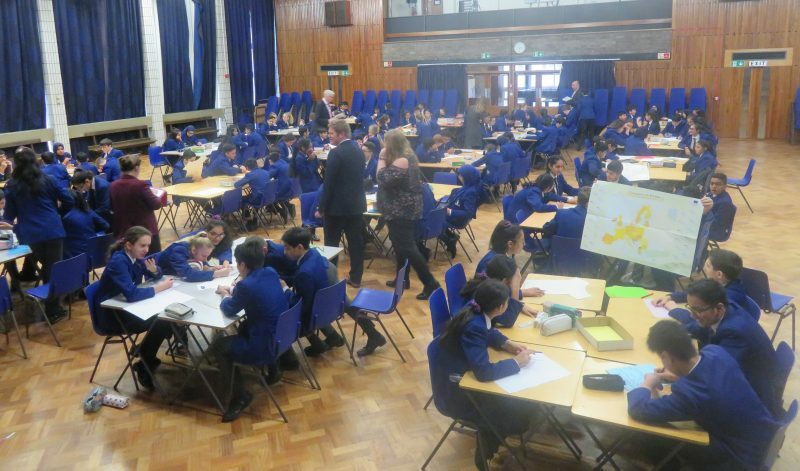 Pupils were able to expand on all their experiences from the morning sessions and there were many creative and original entries. The winning teams all presented their work in a striking manner as well as conveying strong messages. 1st place winners were Ali, Maria, Mohamed, Owais, Simrah, Karima and Haiqa from 8BPV. 2nd place winners were Adiva, Adam, Uzair, Jibraan, Zishan, Samad and Lybah from 8JLN. 3rd place winners were Angel, Muhammad, Kainat, Ellaha, Maddie, Alisha and Laila from 8LIW.